2325 is rated 5.0 out of 5 by 1. Rated 5 out of 5 by 57bob from They showed up on time gauges work and look great. mounting was easy and went where I wanted. The 3 gauges are 2 1/16&quot; in diameter and the besel is 7&quot; x 3&quot; in size. Is this for a chevy 350? 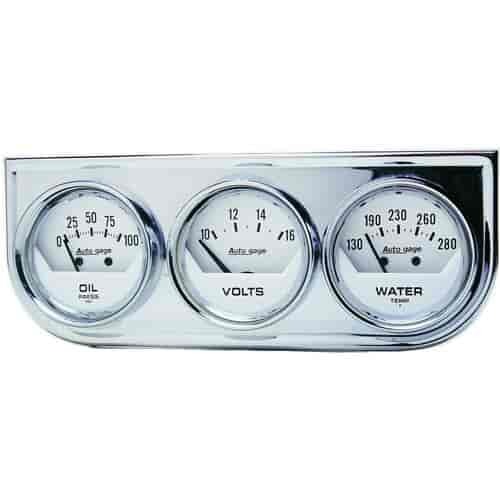 These are universal gauges and can be used on most engine applications.